A bit of history about my favourite cook – my mum. Hello World! This is Mimsey calling all you foodies out there! I am writing this food blog with my daughter Roma ( aka Bunny) as a fun thing to do together and an interesting way to try food we wouldn’t normally make. And learning about unheard of countries at the same time! I have always loved cooking and was lucky to have have a mum who was a very good cook herself to teach me. My mum (Roma senior) grew up in New Zealand during The Depression and World War Two, and these left indelible marks on her whole generation. Nothing was ever thrown out or wasted – thriftiness, self-sufficiency and making-do were the bench marks of her time. People’s expectations and needs were modest. Everyone grew as much of their own food as possible and the dream was to have that 1/4 acre section on which to do it. Our home on the outskirts of town, had once been a part of a large commercial orchard and market garden, and so we inherited many established fruit trees, about thirty gooseberry bushes and rows of fine raspberry and boysenberry canes. 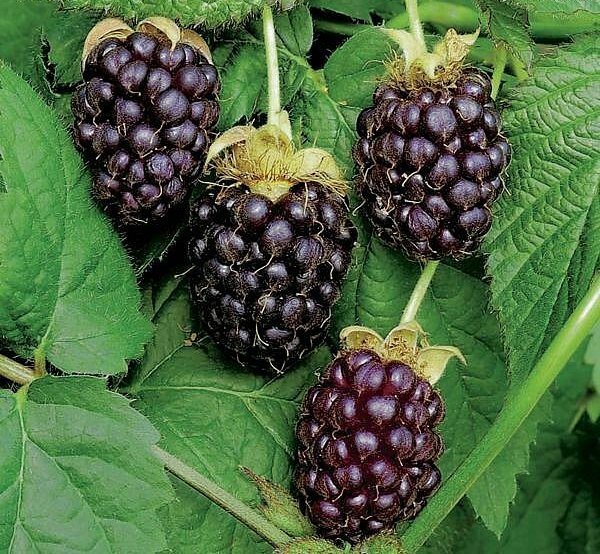 For those of you didn’t grow up in New Zealand, Boysenberries are a luscious cross between a Loganberry, (itself one of several crosses of raspberries with blackberries) a raspberry and a blackberry. A huge, juicy, soft dark purple berry with a delicious sweet/tart taste, Kiwi’s adore them, and they make the most popular (and fantastic!) ice-cream – Boysenberry Ripple! First grown in 1937, NZ is now the world’s largest exporter and producer. If you can get hold of some, do try them – wonderful with ice-cream or cream or on top of a pavlova a la New Zealand. They are quite popular in the States too, I gather since they originated in California. Anyway as I said, pretty much everyones’ parents spent a lot of time growing vast amounts of produce in these huge back yards we all had. Mum looked after all the flower gardens and handled all the fruit trees and Dad ostensibly grew the vegetables, But really, he wasn’t such a good gardener as he fancied himself to be and Mum ended up doing a fair bit of that too. With all this wonderful produce came the need to preserve it all, and summer days were heralded by the heady sweet fruitiness of jam boiling. My mother like Mother Hubbard, had a cupboard full from floor to ceiling with the delectable fruits of her hot, sticky labours. Jars of jam; apricot, peach, plum, and gooseberry , raspberry, strawberry, blackcurrant and boysenberry glowed like jewels of gold, ruby red, pale green and deep orange. Larger jars held carefully packed whole fruits suspended in syrup and rows of bottles were rich red tomato sauce or deeply dark plum sauce. Shelves of pickles, chutneys and relishes lined up neatly, promises of tasty savoury treats in the cold winter months to come. In those days nothing was store bought that could be made at home, store bought was expensive and obviously inferior. Apart from a few things like chocolate, ice-cream, soft-drink and bread, that were too hard to make at home, mum made everything else. Of course that meant we longed for bought biscuits and cakes , and thoroughly enjoyed every treat. My sister and I always tried to see who could make their row of a chocolate bar last the longest, sadly she always won! Growing up in NZ in the 60’s, food was still very traditional and very English. Fast food didn’t exist and take-away options consisted of hamburger bars or fish’n’ chip shops. My mum was what would now be called a good plain cook, in the style of the CWA (Country Women’s Association. ) Every main meal, lunch or dinner (or tea as it was referred to then), consisted of meat, potatoes and vegetables with rice and a so – called curry as an occasional change. Sunday was a roast, usually roast mutton until quite a bit later when chickens became more affordable. Monday was always the leftover roast made into something else like Shepherds pie, rissoles or put into sandwiches. Beef and pork were both expensive, we didn’t have a lot of money and Mum made the most of all the cheap cuts. I had never eaten a steak until I was fourteen and my sister took us out to a steakhouse to celebrate her 2oth birthday. I ordered a Hawaiian steak which had Pineapple and Cheese on it, and I thought it was the height of exotic sophistication! As for pork, apart from sausages, the only pork we ate was pork ribs which were very cheap. Mum would crisply roast them plain and how we loved to gnaw on those salty delicious bones! There was a bit of skirmishing about white bread, mum wanted us to eat the more healthy brown bread, but us kids wanted the soft white stuff. To trick us, mum would make up our sandwich for lunch with a slice of nice white bread on top – but when we lifted up the sandwich to eat it – it was brown underneath! But mostly our food was incredibly healthy, being made from scratch, with our own homegrown fruit and veggies and plenty of it. No worries about food allergies or intolerances. no-one had even heard of them, and no worries about too many cakes, biscuits or lollies either. Junk food wasn’t heard of, such things as chocolate, potato crisps and soft drinks were real treats, only available on Birthdays, Christmas and special occasions. We ate a lot of it too. Usually in winter breakfast would consist of three courses – porridge to start, made from oatmeal soaked overnight, followed by bacon and eggs with fried tomatoes, fried bread, mushrooms and potatoes or maybe sausages, and rounded off with toast with jam or marmalade. We ate in the breakfast room, warmed by the fire my dad would have already lit when he got up in the freezing cold darkness. First to be lit was the little incinerator in the kitchen, to help warm it up ready for mum. Dad was very old-fashioned and lived by the creed “Early to bed and early to rise, makes a man……(healthy, wealthy & wise) ” didn’t work in his case but he loved to get up before the dawn and go for a run along the river or up the hills behind our place. The evening meal in winter always had 3 courses too – soup to start with, a hearty main and of course pudding as we called dessert. These would be seriously solid fare in winter, steamed puddings with custard, or a sticky tooth achingly sweet roly-poly with golden syrup sauce, fruit pies or crumbles. In summer, dinner was just two courses, no matter what, there was always a pudding, even it was some of those delicious preserved peaches or nectarines with custard or later ice-cream. Hard to believe, but we didn’t have a refrigerator at first when I was young, making do with a safe. A safe was a special cupboard which had a mesh back where cold air from under the house circulated and kept things inside cool.This was pretty unusual even back then, and mostly the safe was sufficient. Except for ice-cream which came in blocks wrapped in cardboard and rushed home from the shops, wrapped in layers of newspaper and put in a sink of cold water. It was always half melted and very soft and mushy. I was so thrilled when we finally got our first refrigerator, handed down when my Grandmother passed away, AT LAST we could have proper frozen ice-cream AT HOME!! How exciting! Back then, milk still came in glass bottles, and was delivered every day at the crack of dawn. School children still had free 1/2 pint bottles (cream bottles) of milk provided every day. And other cuisines were represented by Chinese restaurants which served sliced white bread with every meal and also had to serve steaks and grilled lamb chop meals for the many who couldn’t come at all that foreign stuff. The first pizza parlour opened in Christchurch when I was 17 and it was a huge hit – how exciting it was! And when the first International fast food outlet came ( it was a Kentucky Fried Chicken) people drove from all over town to try it out. Wow, fried chicken, we’d never heard of it. So there you go, some of this little red hen’s food history. I hope it rings a bell with some of you out there. Stick around as we get onto posting about our Round the World cooking experiment, ratings, photos and recipes. In the mean time Happy Eating everyone! Latvian Frikadelle Soup for you!